Who doesn’t love a good bout of recycling? 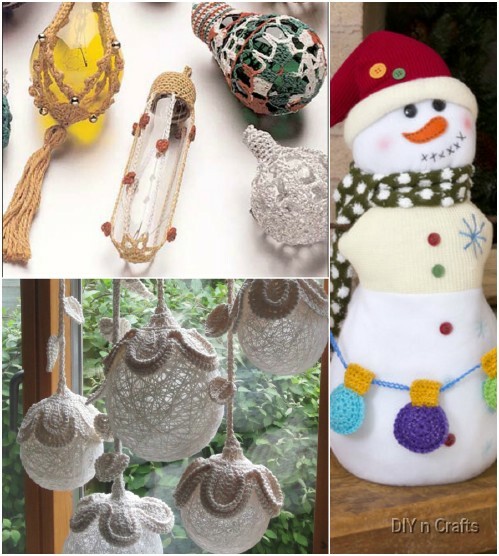 It’s good for the environment, it allows you to use and express your creativity, and it can result in some cheap yet fabulous ornaments and decorations. 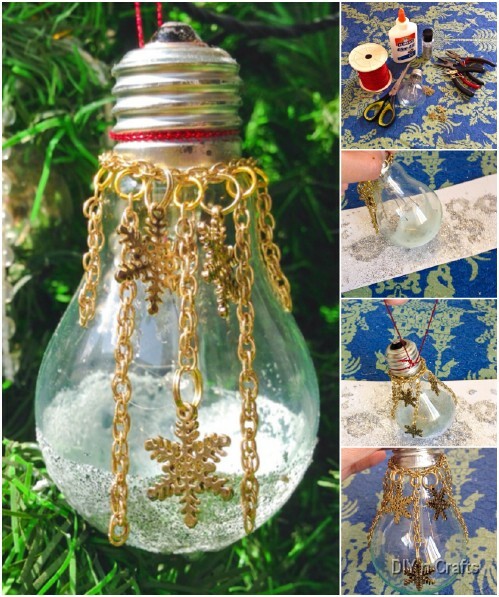 Don’t throw away your burnt out light bulbs, turn them into Christmas decorations to bring the Christmas spirit to your home. Although they will no longer give off light, they’ll light up your home in an entirely new way. Ready for more? 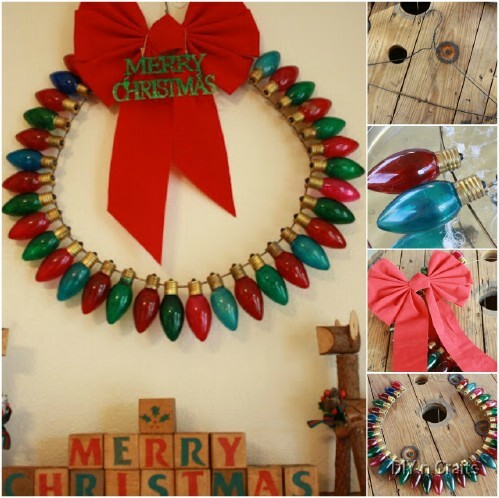 Check out our other Christmassy collections and tutorials. With a bit of craft paint and some fabric scraps, you can make the cutest light bulb ornaments to hang from the tree or even just sit atop your mantelpiece. We love the look of the evil Grinch before he came around, because not everything has to be super cutesy all the time. No Christmas is complete without Santa (who else would bring the gifts?! ), so make sure that you add him to the tree where all the presents go under. You can even add some wool for his beard and make a little hat for him from red fabric. Have fun with it! 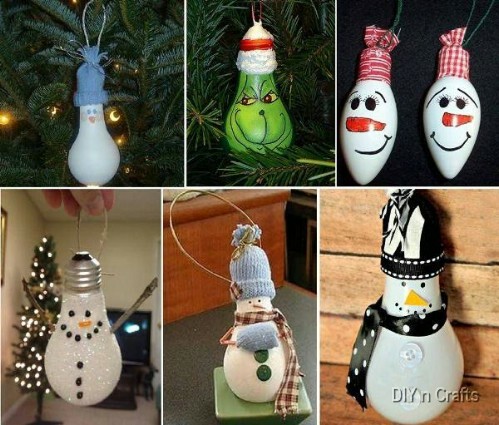 Regular light bulbs just seem to have the perfect shape for snowmen. 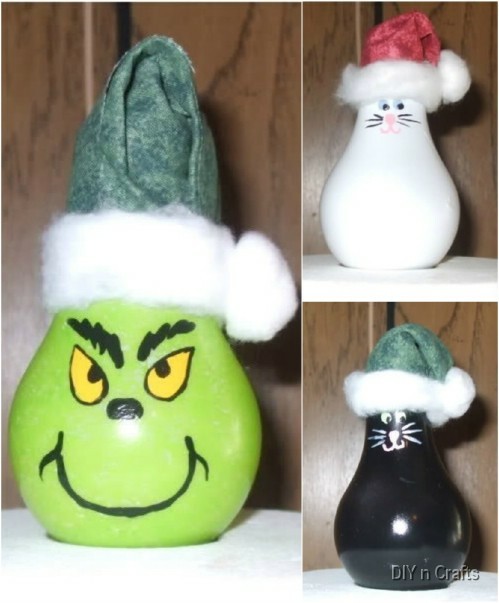 There are a number of different ways to make a bulb snowman as long as you have some paint and a tiny bit of fabric laying around (and glitter if you want some sparkle). Perfect for the tree or just as a cute little decoration around the house. 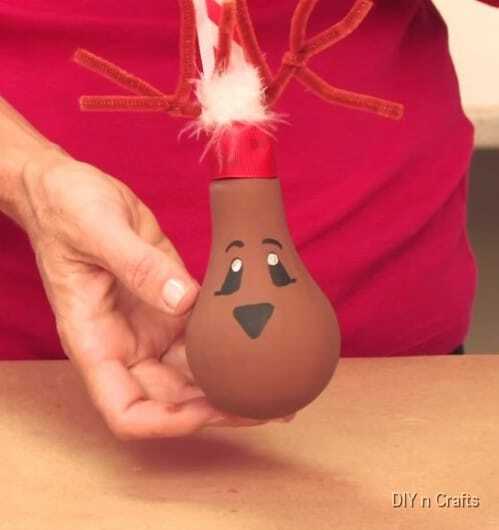 We love this little reindeer tutorial because you really don’t have to be an artist to make it. What we’d really love to do is make a whole set for each of Santa’s reindeer, with Rudolph and his bright red nose at the forefront. Instead of using the entire bulb as a face, you could use it as a blank canvas to draw practically anything. This Christmas tree with the falling snow is just too beautiful for words – and it looks like something you’d pay a pretty penny for in a store. It looks more complicated than it actually is to make, and as long as you finish it off with a clear sealer and store it carefully, you can keep hanging your craft for years to come. 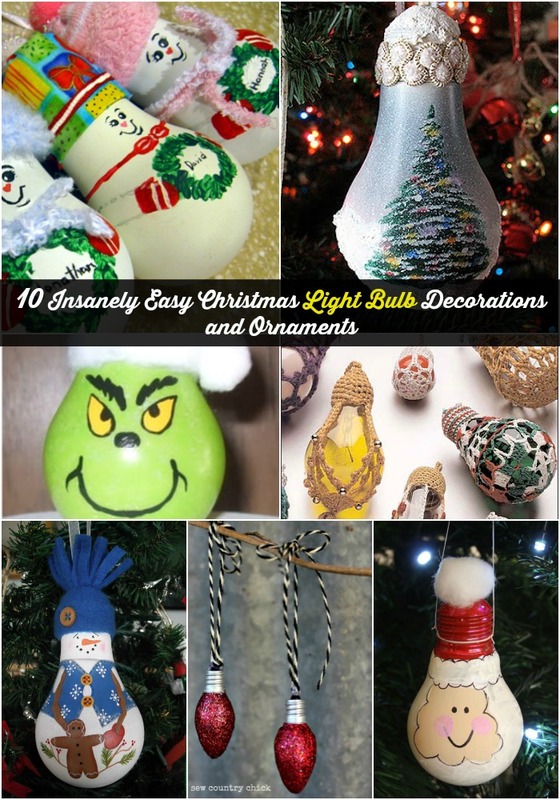 You don’t necessarily have to paint snowmen, Santas and reindeer, you can make simpler ornaments that look like the traditional balls to hang from your tree. A pretty ribbon bow hides the neck, while the bulb part is transformed from waste to a cost-effective decoration. Also, don’t be afraid to use different shaped bulbs – they turn out just as beautiful! With just some glitter and gold chain, you can create a really elegant decoration. We’d recommend making a set with different colored glitter to match the Christmas feel – red, green, silver and gold. Put your crocheting skills to good use by making these lovely crochet covers for old light bulbs. You can even paint the actual bulb before slipping on the covers if you want to add that extra pop of color, and really disguise the fact that it was once a light bulb. 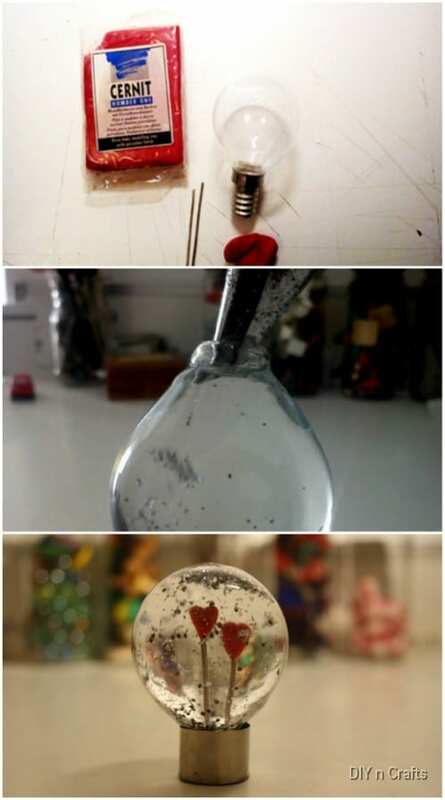 As long as you have patience and a steady hand, you can turn your light bulb into a delicate snow globe this Christmas! It may take a bit of time since you also have to hollow out the bulb, but anything handmade is worth it. A wire hanger can be so handy: it gives you a cheap frame and it already has a hook from which to hang the finished wreath. If you can’t find enough of these vintage light bulbs, simply paint your clear ones in whatever colors you want. 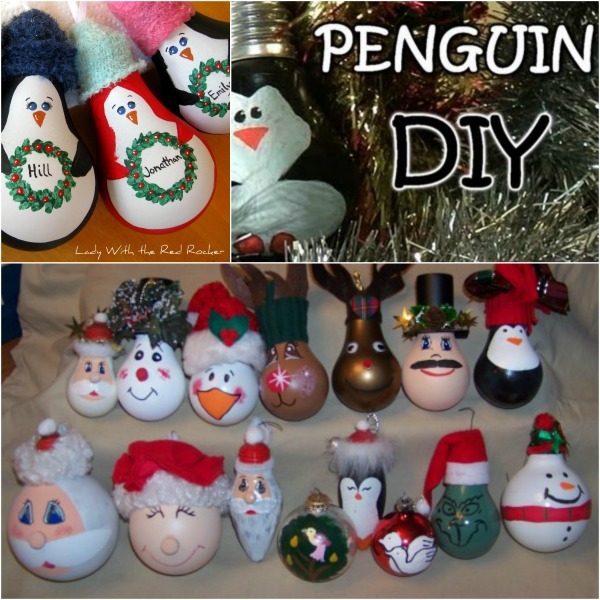 Making homemade Christmas ornaments is fun and can help you to decorate the tree for less. 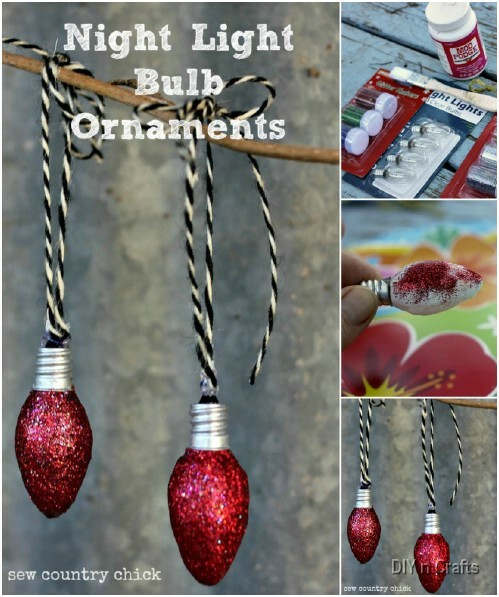 If you love to be creative and you wonder what in the world you are going to do with all of those old burned out light bulbs, there is a great tutorial on making Christmas ornaments. 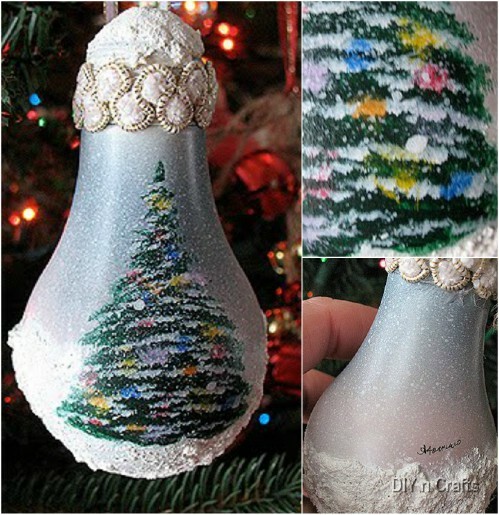 You just have to paint whatever you want on the bulbs and then hang them on the tree. Paint a penguin, Santa or anything at all. If you use watercolors, you can wash the bulbs off when Christmas is over and redo them next year or if you want to keep your design forever, use acrylic paints. 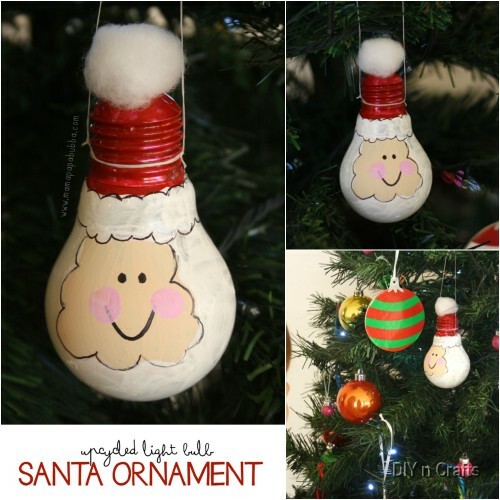 This is a great project for kids and it lets you be as creative as you want, while recycling those old bulbs. Just remember to keep them when they burn out and really decorate your tree the DIY way this holiday season. Enjoy the step by step tutorial video, or head out to Lady with red locker to check out her awesome tutorial. Very clever use of light bulbs,but I haven’t seen anything of the swirl type led light bulbs. Thank you for sharing. These are great and awesome idea’s to do for next year. Happy holidays to you all. And have the best merry Christmas ever. I really liked it & going to make few.